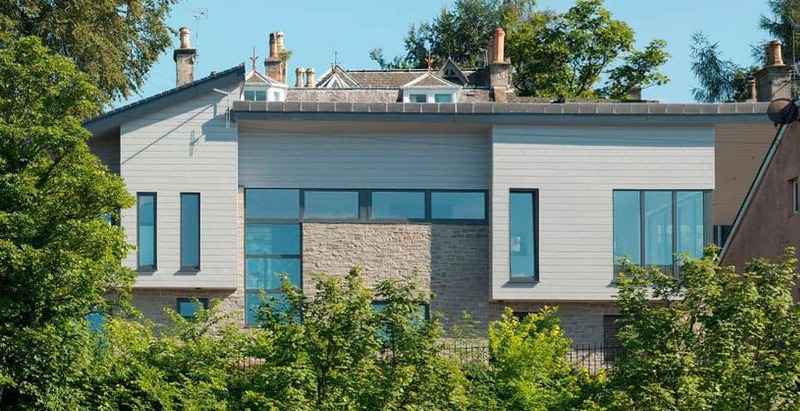 Ken Pearson, Project Coordinator at Blue Stone Builders, said: “I have seen other projects that have used Cedral Click and I was really impressed with the finished result. 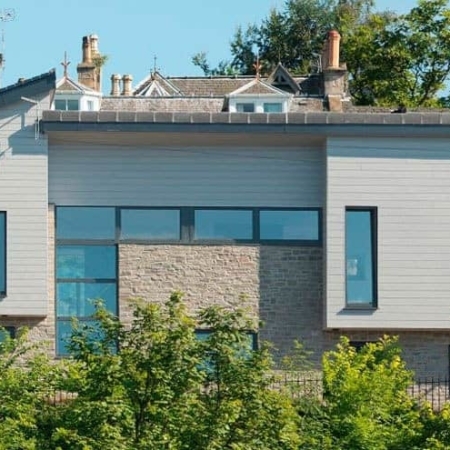 We were contemplating different types of cladding including using half block work, but once the client saw Cedral they wanted to use it across the whole property. Location was a key factor in the design and build inspiration for the home and, once the plot of land was purchased, Blue Stone Builders worked with the client to determine the best position of the property to get the best views overlooking the coast. Ken added: “With the property being in a coastal location it was really important that we used a product that could stand up against the elements. Cedral is ideal because it is rot resistant and requires little maintenance. 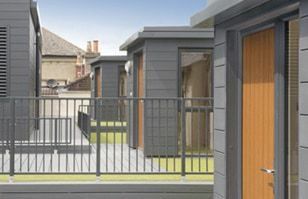 Cedral Click was fitted in a horizontal style in grey, with matching trims used on the window frames. 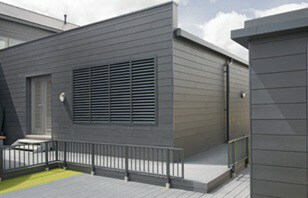 The finished result was an extremely modern, clean and sharp looking property that complemented its seaside location. 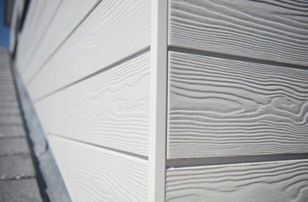 Cedral Click is a fibre cement weatherboard cladding material that offers installers the flexibility to implement a unique design with a life expectancy of at least 50 years, making it an attractive and durable alternative to other cladding materials.